We are leading exporter and manufacturer of Nephrology products. We Manufacture wide range of nephrology products. We are leading exporter and manufacturer of Cyclosporine Capsules. We are leading exporter and manufacturer of Mycophenolate Mofetil Tablet. 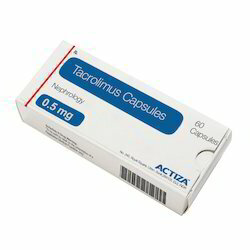 Tacrolimus Capsule exporter in India. We are leading exporter and manufacturer of Sirolimus Tablets. How it works Sirolimus suppresses the activity of body's immune system and prevents rejection of the transplanted organ. Common side effects Herpes infection, Tuberculosis, Bacterial infection, Viral infection. Sirolimus Tablets exporter in India. We are leading exporter and manufacturer of Everolimus Tablets. Everolimus Tablets exporter in India. We are leading exporter and manufacturer of Mycophenolic acid Tablet.Uses Mycophenolate Mofetil is used in organ transplantation How it works Mycophenolate Mofetil suppresses the activity of body's immune system and prevents rejection of the transplanted organ.Common side effect sNausea, Pneumonia, Abdominal pain, Abnormal blood cell count, Agitation, Anemia, Confusion, Increased blood pressure, Decreased blood pressure, Depression, Diarrhoea. Uses Valgan 450 mg tablet is used in the treatment of eye infections by herpes simplex virus How it works Valgan 450 mg tablet prevents the multiplication of the virus in human cells. Thus stops the virus from producing new viruses.Common side effects Anemia, Diarrhoea, Decreased white blood cell count (neutrophils), Breathing difficulty. Valganciclovir Tablet exporter in India. We are leading exporter and manufacturer of Erythropoietin Alfa Injection. We are leading exporter and manufacturer of Sevelamer Tablet. Sevelamer Tablet exporter in India. We are leading Exporter and Manufacturer of Iron Erithropoietin Injection. 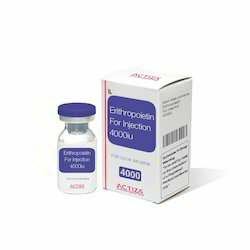 Erythropoietin is used in the treatment of anemia, anemia due to chemotherapy and anemia due to chronic kidney disease. 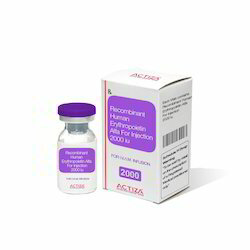 Erithropoietin Injection exporter in India. Looking for Nephrology Medicines ?